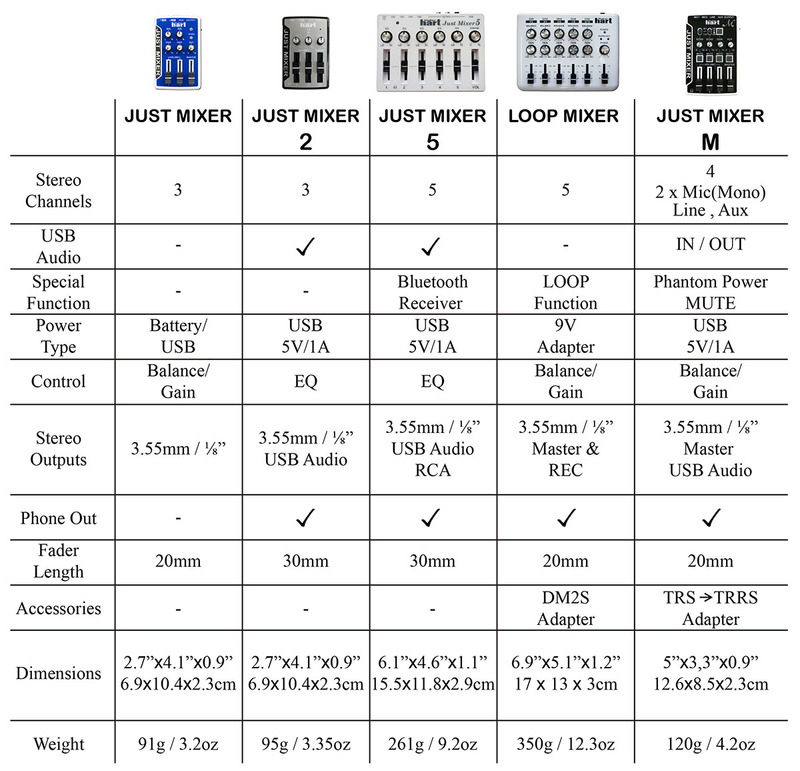 Just Mixer is a high-quality, portable and convenient audio mixer. If you are a gamer narrating walkthroughs, a DJ requiring a portable but reliable mixer, an audio professional in need of a convenient audio-mixing device or just someone looking for an efficient and practical way to work with various audio sources, Just Mixer is definitely your go-to companion! *Portable & Convenient: At just 3.2oz of weight and 2.7 x 4.1 x 0.9" dimensions, this mixer is perfect for on-the-go professionals and music enthusiasts. 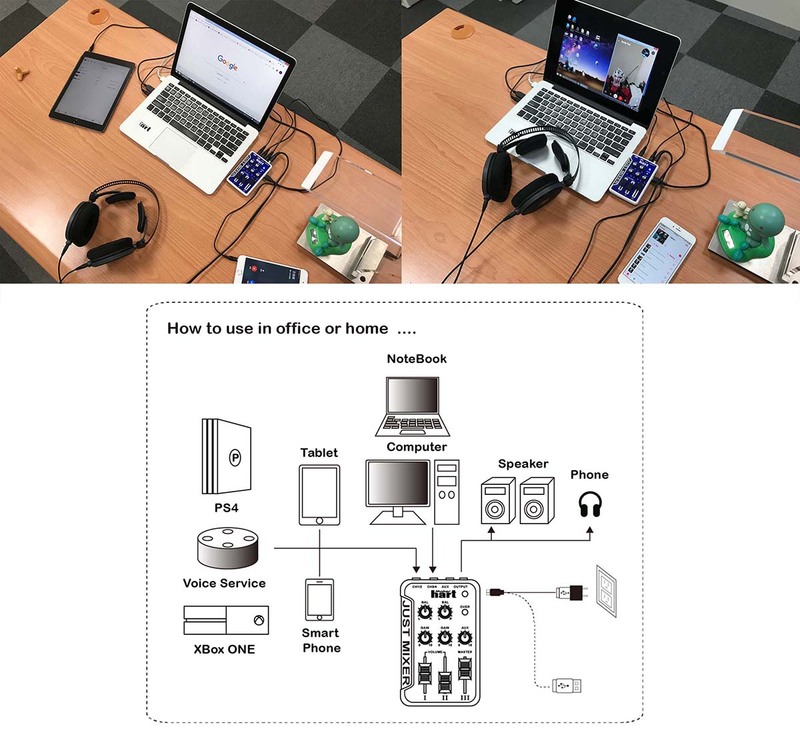 * 3in / 1 out: The mixer allows up to three 3.5mm stereo channels input which allow for a maximum of 5 mono input connections. *LED Overload Indicators: LED indicators will light up when the audio signal level exceeds the mixer’s capacity. * Signal Level: The GAIN knob allows for the input signal levels to be adjusted to that of the microphone’s. High-sensitivity microphones are recommended. *Monitor your mix: Just plug in a pair of stereo headphones to monitor the ongoing audio mix and guarantee your satisfaction with it. 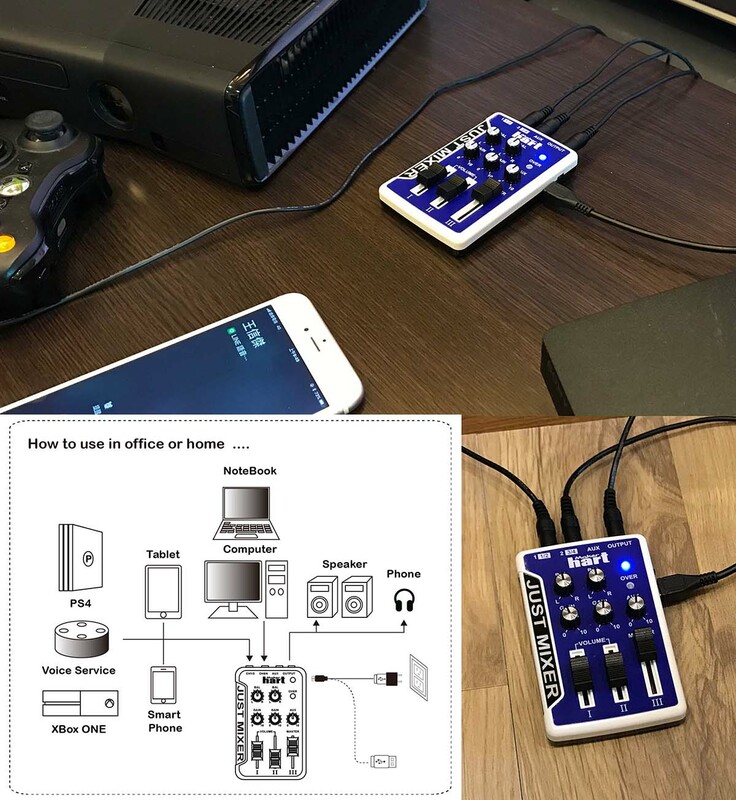 Stereo 3 in/1 out Configuration: 3 stereo channel on JUST MIXER can connect up to 5 mono input. Overload Indicators : The L/R OVERLOAD LEDs allow you to set the best signal level for optimum audio performance. 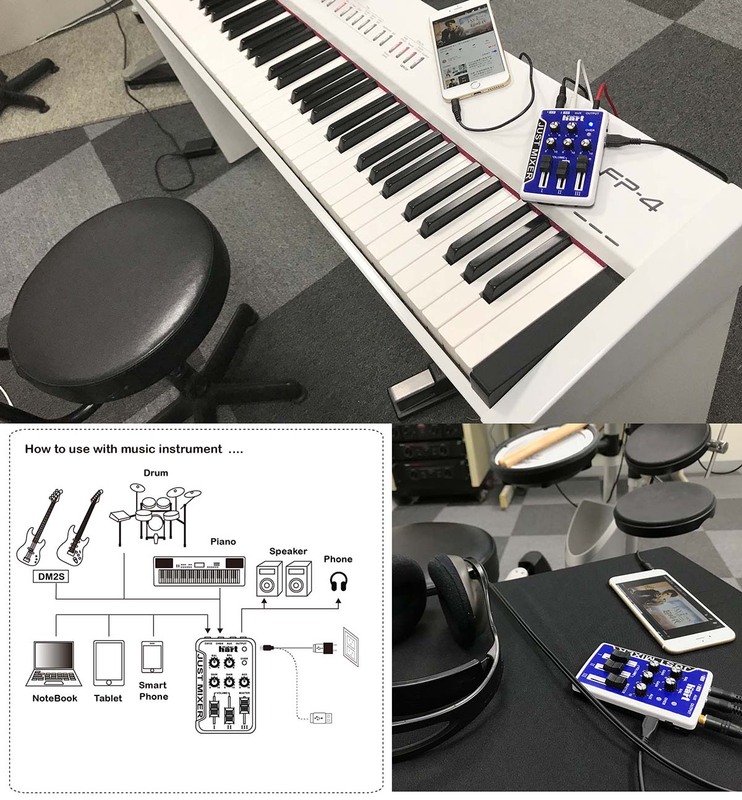 PHONES Jack : Stereo headphones can be connected to this jack for convenient mix monitoring. A Portable Mini Audio Mixer with 2-way power supply allowing up to 3 stereo channels input and Convenient & Easy to carry!